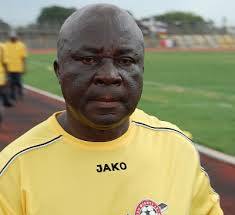 Ghanaian football coach Afranie is Dead!!! Veteran Ghanaian football coach Emmanuel Kwesi Afranie has died after an ambulance transferring him to a hospital was involved in an accident on Wednesday. The Accra-based ‘myjoyonline’ website reported that the accident occurred in the Eastern Region while he was being transferred to the Komfo Anokye Teaching Hospital in Kumasi, Ghana’s second biggest city. The coach was said to be suffering from a mild stroke. Afraine qualified three different Ghanaian national teams for World Cup competitions – the Black Starlets (Under-17) and the Black Satellites (Under-20) where he won silver, and later the Black Queens (national women’s team).